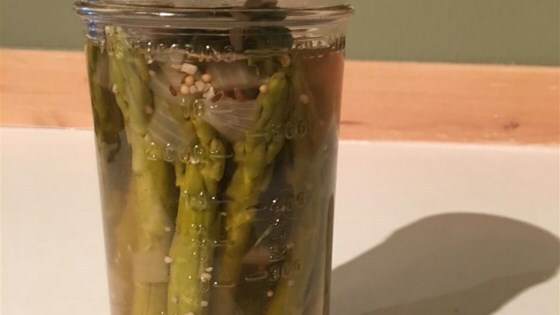 Successfully saved Pickled Asparagus to your Calendar. You can also save the ingredients to your Grocery List. "Use the freshest asparagus for best color. These make great appetizers or garnishes. They look so pretty all 'canned up'!"